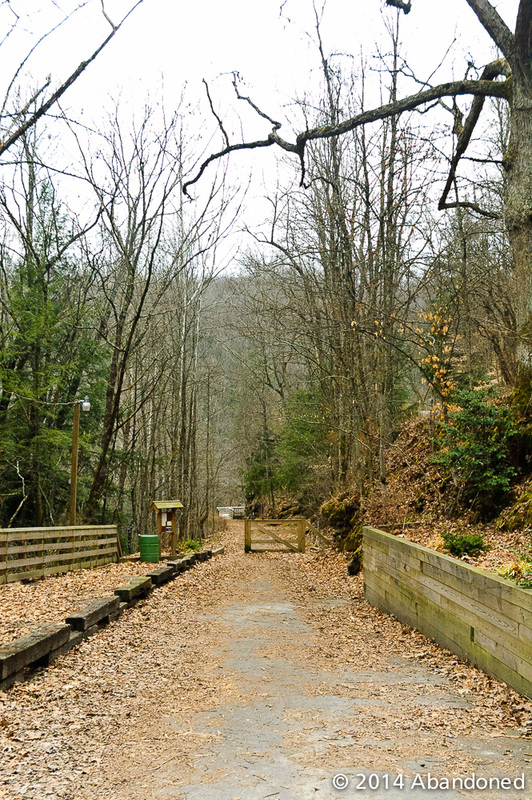 The Chesapeake & Ohio Railroad Hawks Nest Subdivision is an abandoned 3.4-mile branch from Hawks Nest Station to Ansted, West Virginia. 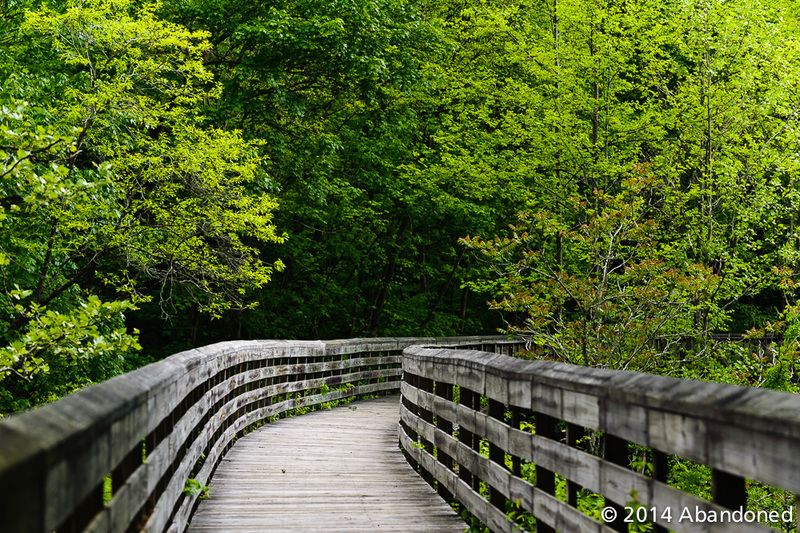 It was originally conceived as a narrow-gauge line alongside Mill Creek. The railroad was operated with a saddleback locomotive due to grades of up to 4.2% 1 3 with small, 2.5-ton capacity coal cars. When 16 cars were loaded, two brakemen would ride the coal cars down the grade, using the handbrakes to control the descent speed. At Hawks Nest, the coal cars would be dumped into larger cars for the C&O, a process that was done nine times a day. 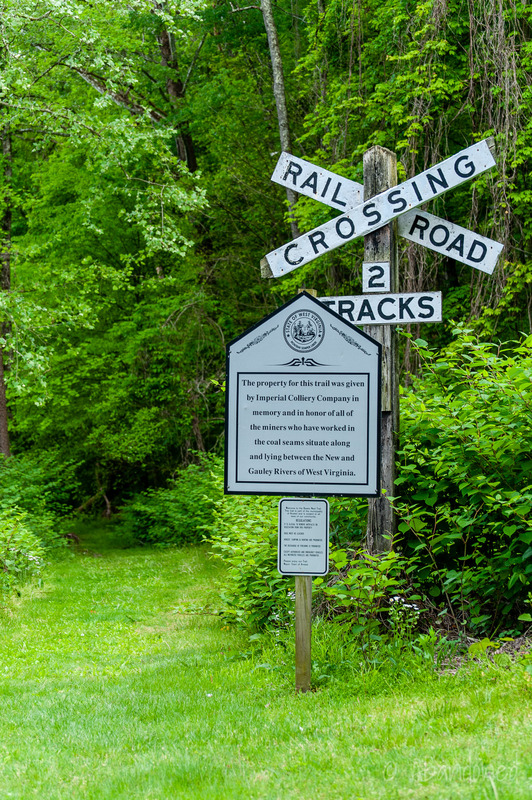 The line included a 472-foot runaway track around milepost 1.5 and a 47-foot high, 321-foot wooden truss over Mill Creek. The British-owned Hawks Nest Coal Company was organized in 1875 5 and by 1877, nearly all of their capital was expended in building facilities, including a tipple and two coke ovens at Hawks Nest. But with no capital to work with, Hawks Nest leased the property to the National Cooperative Mining, Manufacturing and Colonization Association, who represented a group of 200 miners from Pennsylvania. The association raised $40,000 in working capital to start mining operations and contracted with the C&O for 85 cents per ton. But just after four months, the mines were showing a steep loss and all work stopped. In 1878, the mine was leased to Colonel Joseph L. Beury, who was the manager of the first company to ship coal on the C&O from the New River Gorge, the New River Coal Company at Quinnimont. He was also the founder of mines at Fire Creek and Echo. 4 With some new capital, the Hawks Nest Coal Company was reorganized and Captain William N. Page, an American, was appointed the manager. One of those mines extended under Gauley Mountain to Jodie which was located along the Gauley River. 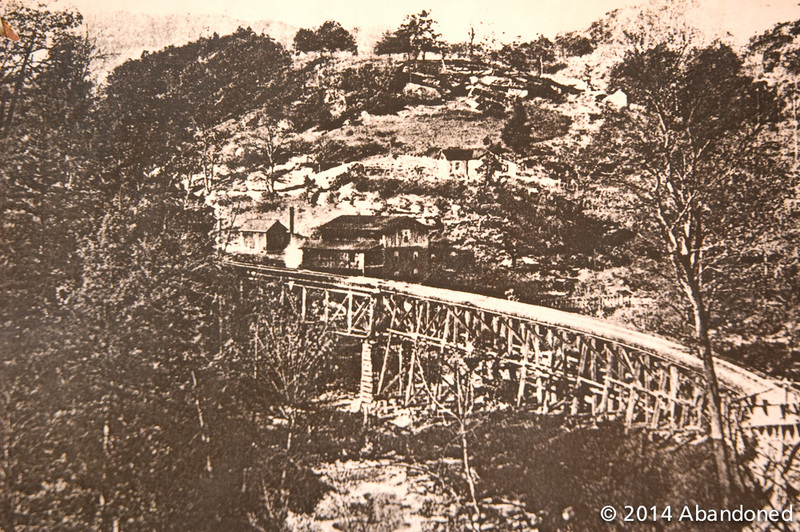 4 Because there was no rail line at the time along the Gauley River, the coal was shipped via the Hawks Nest Railroad. By 1892, coal production reached 500 tons daily. Another smaller mine, operated by the Mill Creek Colliery Company, was located halfway between Hawks Nest and the Mill Creek trestle and was opened in 1921. It was smaller than the ones at Ansted. At Ansted, the northern terminus. “Ansted, West Virginia.” WMTH. N.d. Web. 3 June 2013. Article. “The Kanawha Series.” West Virginia Geological Survey. Comp. I.C. White. Vol. 2. Morgantown: Morgantown Post Company, 1903. 534. Print. Huddleston, Eugene, John Joseph, and Everett Young. “The New River Field.” Chesapeake & Ohio, Coal, and Color. Marceline, Mo. : Walsworth, 1997. 7-8. Print. Fenstermacher, Todd. “Hawks Nest Subdivision Revisited.” Chesapeake & Ohio Historical Magazine Oct. 1991: 3-7. Print. Peters, J.T. and H.B. Carden. History of Fayette County, West Virginia. 275, 287, 488-493. West Virqinia History. Vol. 46. 7. Liqht Iron Short Ties. Three Rivers Narrow Gauge Historical Society. Vol. 6.3. Long, Roy C. “Railroad Recollections,” Hinton News. 12 June 1990, n.p. Print. Cox, William E. Life on the New River. 1-2. Huddleston, Eugene L. Riding that New River Train. 73. Charlottesville Chronicle. Vol . 18.30. 23 July 1886. Dixon Jr., Thomas W. “The Chesapeake & Ohio Railway at Hawks Nest, West Virginia.” Chesapeake & Ohio Historical Magazine Feb. 2000: 1-24. Print. “The Hawks Nest Subdivision.” Chesapeake & Ohio Historical Magazine Mar. 2007: 14-15. Print.